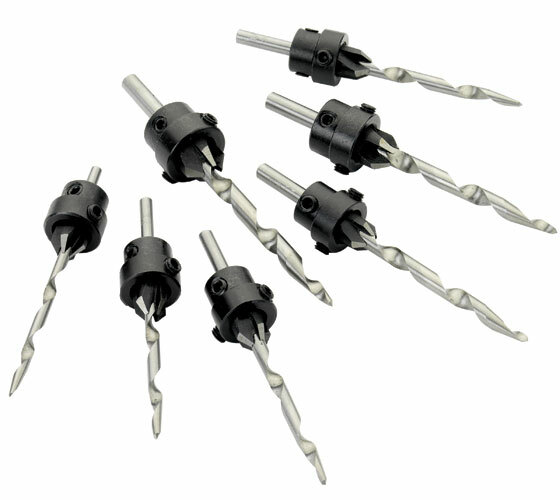 Tapered drill bits provide more gripping power than standard drill bits and make pilot holes with tapers to perfectly match standard woodscrew sizes. Save time and effort by using these bits to quickly make accurate pilot holes and countersinks in one simple operation. Made using high speed steel and precision sharpened, these bits provide superior accuracy and longevity. Suitable for creating pilot holes for woodscrew sizes 5, 6, 7, 8, 9, 10 and 12. 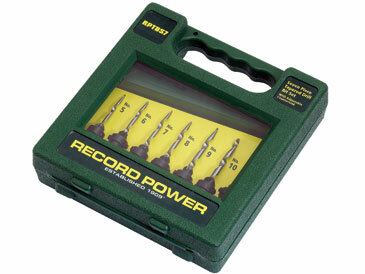 A sturdy storage and carry case is included to protect the drill bits. 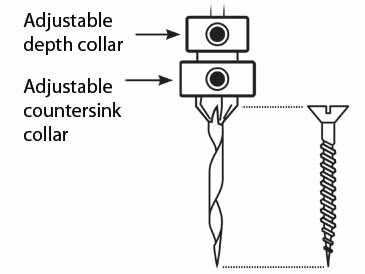 The drill bits feature two independenty adjustable collars for precise control of cutting and countersink depths.